Grigor Dimitrov is the most successful Bulgarian male tennis player and the first Bulgarian to ever reach the top 10 ATP singles ranking. 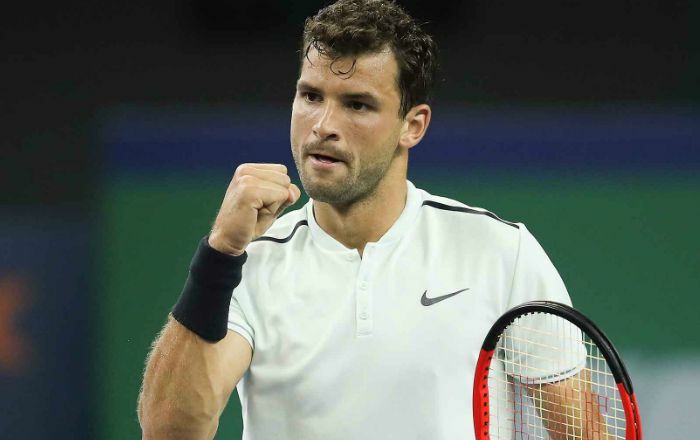 Dimitrov is the first Bulgarian tennis player to earn the world No. 3 ATP singles ranking, which he achieved in November 2017 after winning the 2017 ATP Finals. He has several credits to his name and has won 8 ATP singles titles to date. He has won over $15 million as prize money till date during his career, making him the first Bulgarian tennis player to achieve this feat. Grigor Dimitrov was born on 16 May 1991, in Haskovo, Bulgaria. Dimitrov got enrolled at the Sanchez-Casal academy in 2007, where he was trained under the leadership of Emilio Sánchez and Pato Álvarez. After a year, he moved to Paris, where he joined Patrick Mouratoglou’s Tennis Academy and spent the next four seasons there. Grigor Dimitrov has been dating singer and TV personality, Nicole Scherzinger from 2015. She is 13 years senior to him. Previously, Dimitrov was in a relationship with Russian tennis player Maria Sharapova, Serena Williams and Simona Stefanova. Grigor Dimitrov got his first tennis racket as a gift from his mother when he was three years old. After two years, he started playing tennis daily. At the age of 14, he tasted his first major win, the U14 European title. He then subsequently won the junior US Open and junior Wimbledon and became the junior world No. 1 overtaking Tsung-hua Yang on September 8, 2007. Dimitrov made his ATP debut in 2008 at the Ordina Open against Igor Andreev but he lost to him in straight sets. He won his first ATP title at the If Stockholm Open Dimitrov defeating top seed David Ferrer in the final, becoming the first ever male Bulgarian player in the Open era to win such a title. He has won 8 ATP titles so far. He has acted in any TV show or film yet. Dimitrov has appeared in a lot of TV commercials endorsing various products from Wilson Sporting Goods. He has a n estimated net worth of $8 million. He owns a Mercedes-Benz SLS. Dimitrov was awarded the Bulgarian Sportsperson of the Year in 2014 and 2017. He was named the Eddie Herr International Rising Star in 2007. He is a good friend of Novak Djokovic. He speaks English as well as his native Bulgarian. He represented his country at the London Olympics in 2012, where he was beaten in the first round by France’s 12th seed Gilles Simon 6–3 6–3. Dimitrov is the first Bulgarian professional tennis player to have earned US $1 million and as well as the US $15 million prize money.